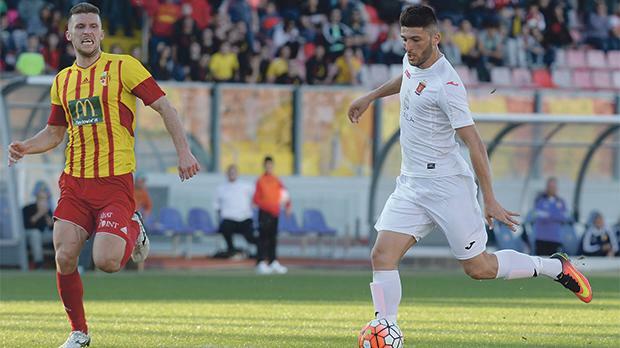 Birkirkara continued to inject more young blood in their squad yesterday as they welcomed back their own youth product Luke Montebello from Valletta. The Malta international started his football career with the Stripes before he embarked on a foreign adventure, pursuing his career in Italy with Livorno at youth level. Returning to Maltese football, Montebello joined the Citizens permanently and also featured on loan for Żebbuġ Rangers, Tarxien Rainbows and Pembroke Athleta, with whom he started last season before returning to his parent club for the second half of the campaign. Establishing himself as a regular starter in Paul Zammit’s City side, Montebello scored five goals in 19 matches, managing also to make his national team debut during the World Cup qualifier against Slovakia, in March. He becomes one of the first signings for newly-appointed coach Peter Pullicino, who has also brought in the talented Jake Grech from Ħamrun Spartans in a major coup completed last weekend. Floriana are looking to strengthen their defensive department as they intend to sign James Baldacchino from former Oceanian Champions League winners Wollongong Wolves, now playing in the National Premier League NSW which is considered to be the second tier in Australian football. Baldacchino was recently called up by Silvio Vella for a short training camp with the Malta U-21 selection. On Saturday, he also featured for the Greens in a pre-season friendly against Hibernians and the centre-back left his mark as he netted the only goal of the match. Elsewhere, experienced midfielder Joseph Farrugia has given St Andrews some good news by renewing his contract. In recent days, the club had witnessed the departure of key players including Michael Johnson and Kyrian Nwoko.